World Cup South Africa 2010: Whose Side is it on? [Jakarta, LTTW] It is almost impossible to decimate music from human life, because music is like air that fills void. In all its shape it fills up space, and in all times at all capacities, chances and the will and support of the local society where it lives. It can even give influence the life of those not wishing for the atmosphere it creates. Music can be more than mere entertainment. But it can (at the same time) be a tool through which to grow the self-assurance, self-identification, and self dignity of a person, or a people, so that they stand tall and firm as a complete entity. The effect of music can go beyond what man imagines. It can also strengthen the frayed bonds between peoples, because music is free from the shackles of conflict, hate, and the latent problems of people’s everyday lives. And so too is it able to cross the boundaries of differences in race, faith, ideology, and class so defining the variety and cultural richness of human civilization[i]. The ability to create art (as is sports) is one of humankind’s ultimate manifestation with potential to be beneficial for the continuation of life (but it too can produce the opposite effect). The usefulness or not of music as a vehicle depends at what level can man understand his life. Music can be very inspirational, but at the same time it can also become a vehicle for propaganda that can threaten the very lives of a people or a race[ii]. Beginning on the year 1990 music begun to be used by FIFA as the Anthem/Official songs of the World Cup, because (consciously or not) music begins to be considered to have an important strategic value to celebrate (or immortalize) victories (or glory), while at the same time having high commercial value[iii]. On further developments, as an intertwining sport and music were used to trigger sportiveness & achievement culminating in a point of vibrant communion. Going so far even as to erupt emotions which sow the seeds of new brotherhood and peace beyond the invisible limits of logic. It is world events such as this which should have the potential to replenish the vibrancy of a nation, even the core value and meaning of humanity. Not as a court for ridiculing the losers, or to venerate winners. But on the other hand, experience has also sharpened the business instincts which has made music become a complementary element of a most profitable sporting event, and as a vehicle through which a nation’s resources are exploited[iv]. So important was the role of music in the World Cup events, that all this time it was made with a particular concept in alignment with the situation, the socio-cultural context of the nation where these events were held. In its history, some of the theme songs composed are more in line with the host nation’s characters (Italy, 1990; Argentina, 1978), sometimes more international in character (Spain, 1982; South Korea-Japan, 2002), and sometimes its characteristic of one nation but is of international caliber (USA, 1994; France, 1998; Germany, 2006)[v]. Though there are no fixed rules, between FIFA and each hosting country there (apparently) is a process between the two parties in searching for an image that aligns with the wishes and goals of both parties, hoping for a mutually symbiotic relationship. It is interesting to observe this World Cup championship to find out how aspects of universalism and locality interact with each other in the spirit of sportiveness on the different ages compared to this era, where it has been said that disconnects have become easier to prevent. As a mediator, FIFA gathers people from many nations to gather in competition and focus the attention of the world to none place. This event can become a contestation ground to test whether so called universal values (equality, fairness, friendship, etc.) really do take place, can be defended, or more readily understood by the world’s citizens (at one particular location with its local contexts). As a facilitator and provider of venues, the hosting country becomes a ‘battleground’ of abilities and values, and opens a door for local values to interact and attempt to become compatible with the international world. This test applies to all parties involved, especially FIFA itself and the hosting country, the local citizens and match spectators, even spectators throughout the world. Can the parties involved accommodate all their ‘interests’ in synergy without sacrificing a bigger goal, that of the upholding of our conscience and humanity. Or, will this tackling over the ball become no more than footwork play proving nothing beyond the ‘power’ to win, to conquer the loser[vi]. This tale of music began when FIFA declared ‘Waka Waka’ (‘This Time for Africa’) as Official Song of the 2010 FIFA World Cup South Africa to the mass media. This song is sung by Shakira with the backing of the group Freshlyground (from South Africa). This work is claimed to be written by Shakira[viii]. But not long after the announcement, this song sowed controversy. Some of the parties in support are the fans of soccer and Shakira’s music who in general are from outside South Africa. They hold their opinion that this is an international event which should properly be celebrated by the whole world. Some do not consider important the issues that develop in South Africa (like the World Cups that took place at developed nations, where music is considered more an accessory), some others do not understand the problems. They consider resistance towards Waka Waka an annoying obstacle in the event’s success. Related to the preceding things, aside from Shakira, FIFA also recruited several musicians considered popular by the captive market of western pop music. Famous musicians such as Alicia Keys, John Legend, the Black Eyed Peas, etc. has been included in the music list of the World Cup 2010 soundtrack and has made headlines at various mass media. At the beginning they were reluctant to recruit South African musicians whom they consider to be not very marketable in the international world. [x] But recently they have corrected this by recruiting South African musicians gradually and discretely (though they admit that they have erred before elements of South African society), due to the appearance of strong critique aimed to the FIFA organizing committee over their decisions. Is this turn of events just another episode of the push and pull between globality (popularity) and locality (pride)? About the way FIFA manages the internal tension related to business and the credibility of South Africa? (who still of course have issues regarding perception of relationship and certain specific interests). Or, is this nothing more than a mere multinational business game placed upon a poor country? To smooth out the spread of World Cup songs FIFA had signed a contract with Sony Music Entertainment as the official record label for the World Cup 2010 soundtrack album (CD & DVD). This agreement was done to strengthen position and ensure positive response from the target buying audience. This plan appears to have been well prepared, because they had also prepared a charity social responsibility program. FIFA and their partners will donate their net profits to talent development of soccer for the disadvantaged throughout Africa through the ’20 Centers for 2010’ program and 1Goal[xi]. To realize this Shakira will be its traveling ambassador to socialize this program throughout all of Africa. FIFA appears to have carefully calculated the opportunities and challenges in reaching World Cup profit and success in the internal social situation and setting of South Africa (such as poverty, economic inequality, social injustice, existing racism issues, etc). 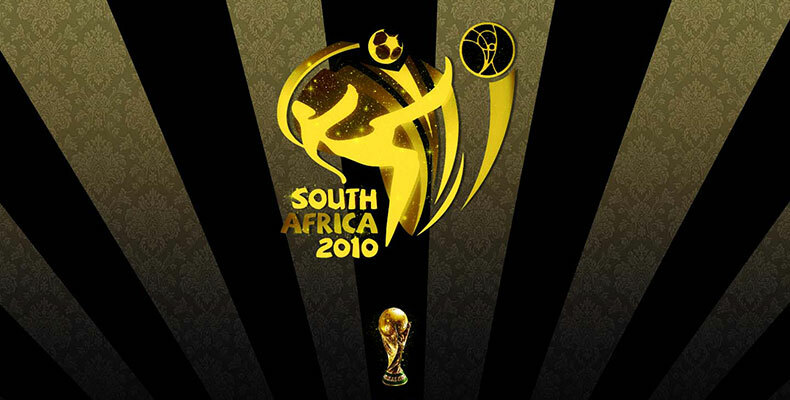 What was it really that became FIFA’s main consideration in this World Cup 2010 in South Africa? Is it merely aiming for profit, or does it consider common benefit with its partner nation? How to lift the thread of Africa and at the same time become successful financially and reach the goal of World Cup? Since so many challenging factors and work remains to be done. And so to the limitations from the South Africa party with all that they have and their limitations, in relation to their main priority of what needs to be reached in taking advantage of World Cup 2010 maximally. What actions to take to gain true benefit for all layers of its society, and to avoid profit that only reach a small part in the name of globalization? How does cooperation work between the government and its people in anticipating the World Cup? Because miracles cannot come just like that by merely preparing venues and facilities. For another matter an opposing reaction appeared from many citizens of South Africa. The main issue being the World Cup had become in-contextual and too ‘international’[xii]. Because there was an uncertainty happening between FIFA and South Africa’s ruling government. Making it so that South Africa was denied the opportunity to promote herself properly to the international world[xiii]. Therefore it is unsurprising if South Africa’s music did not gain a proper place. At the beginning only three South African musicians were involved in this grand celebration[xiv]. This reality sparked protest from among local musicians, who demand that South African musicians are able to properly participate as hosts welcoming guests, and to enhance the musical flavor of South Africa in World Cup 2010. This anxiousness was also felt by the local citizens (especially by the majority underprivileged local population of South Africa) because they were also not given proper room to introduce South Africa’s arts and culture within the area surrounding the soccer stadiums[xv]. Eventually several private radio stations ceased to report on World Cup 2010 and played more South African music. So too several galleries canceled in selling products bearing the FIFA World Cup 2010 initials except for those that are original local art creations, due to solidarity and concern towards South Africa. They also conclude that the song Waka Waka by Shakira, does not represent what they call the spirit of Africa (since she was actually a Colombian). Even more sharply they focused on Shakira’s claim that Waka Waka was her original work. Because a song very similar to it was performed around 1986 by the musical group Golden Sounds (a musical accompaniment group for the President of Cameroon) as their original work which they named Zangalewa. This means that Shakira had plagiarized another work (the chorus) without permission, and after this (plagiarism) happened only then was it realized, and this had happened several times in the past. Apparently this plagiarism done by international musicians (Michael Jackson, James Brown, Missy Elliot, etc.) to African musicians had become a bad habit of megastars, which they do without any guilt[xvi]. Whatever the reason and situation, Shakira had trespassed another’s intellectual property. What comes next in this tale? Will she repair her mistake with sportive spirit like a human being (not as a mega star), produce an apology to show that she still have respect to the intellectual property rights (of the Zangalewa music group, their name after Golden Sounds)? Or, will she quietly do it in order to save face in front of her millions of fans (though everyone knows what she had done)? Or, will she consider this situation manageable (‘manipulable’), and pretend that nothing happened? And then what does this (attitude of ignorance to intellectual property rights) have to do with her commitment to humanitarian issues through the ’20 Centers for 2010’ and ‘1Goal’ later on? Does it have anything to do with her calling in her heart or is this only part of the nominal calculations and popularity thought of fleetingly across her head? The attitude shown by Shakira in this World Cup 2010 shows an affinity that FIFA has about how the ‘international community’ treats the local ‘society’, who tend to make them an object of exploitation. FIFA, though finally apologizing (due to pressure), reveals something it doesn’t realize which is the tendency to underestimate people due to selfishness. When the people of South Africa spends $5 million (by incurring debt), never mind South African identity, not even to become a proper host was the opportunity not given (if not for the harsh shoutback). Is this phenomena causuistic, or is this the typical attitude of the ‘international community’ (rich nations) towards the formerly colonized nations of the world (who are quite obviously still poor)? And so too with South Africa, will the profit and popularity hard-fought all this time weaken the life goals they had originally been fighting for? Will they become more ‘modern’ but in the process lose their cultural roots and become shackled by ever tightening debt (such as has happened in Malaysia, Indonesia, etc.)? Or, will they become a nation that successfully mends the cracks in their culture to develop their self worth as one united nation capable of solving the problems of their lives? This which is achieved through methods that do not create new dependencies on false hopes to solve problems by depending on the ‘goodness of heart’ from developed nations or the world’s donor organizations. This World Cup event shows how music can take role in the formation process of a nation, and, or be manipulated so that it functions to lift the popularity of a person or group. World Cup 2010 is a new learning chapter for human civilization to bring together the spirit of a continent that once had been brought to their knees by the granite slabs of ‘international world’ standing tall and pompous. Errors can be repaired if all parties would be willing to take a level sitting position, and be willing to help each other unconditionally from deep in the heart. Here is where music (in this matter the official song ‘Waka Waka’, as claimed by FIFA) makes it possible to take role in meeting heart with soul, to give rise to the spirit to raise Africa. But without conscience and emotional unity, trying to fulfill the grand vision of giving rise to Africa (though South Africa bears much debt) is like trying to make stand a wet string. An Ethno-musicologist and a former Program Head of Sacred Bridge Foundation in which he was active for 13 years, and contributed to various of its action research program.